Upcoming shows and a list of recent clients and events. List of confirmed appearances by comedian Larry Weaver. Check back often for updates! 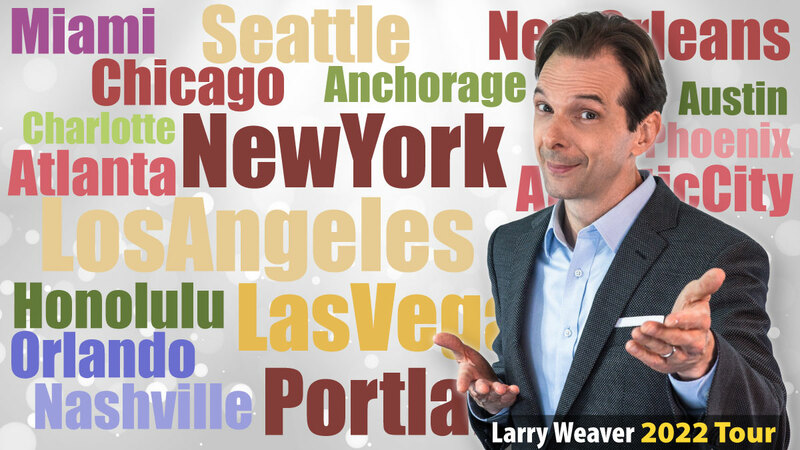 Scroll down for a partial listing of Larry's recent apperances across America at corporate events, associations, churches, non-profits, fundraisers, and more.